This might not be the best Lor Mee but it is my personal favourite as I literally grew up eating this. 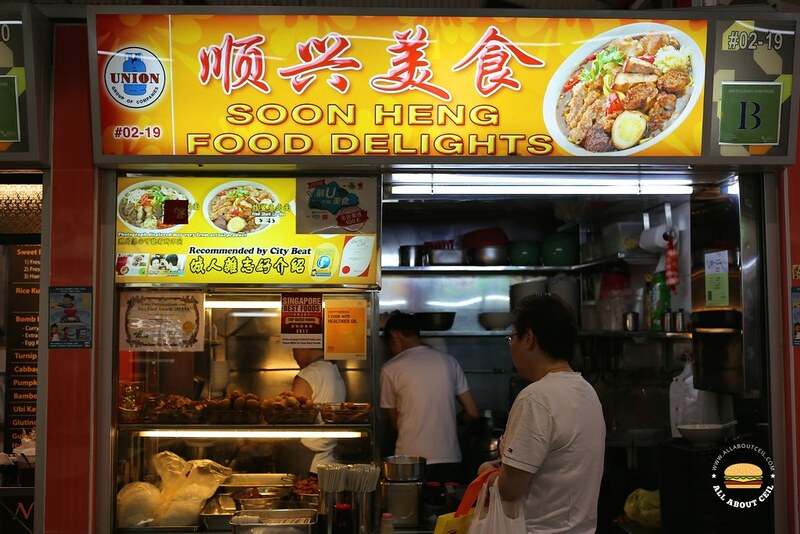 This stall is one of the longest surviving stalls at Tanjong Pagar Food Centre. It was there when I started working as a recruiter in one of those office buildings nearby and it is still there after all these years. There was no queue at 11 am on a weekday. The stall is manned by an elderly couple. The auntie was a bit grumpy on that day as she was nagging at the uncle, heartwarmingly. It reminded me of my late Grandma as she always nagged at my late Grandpa over little things. 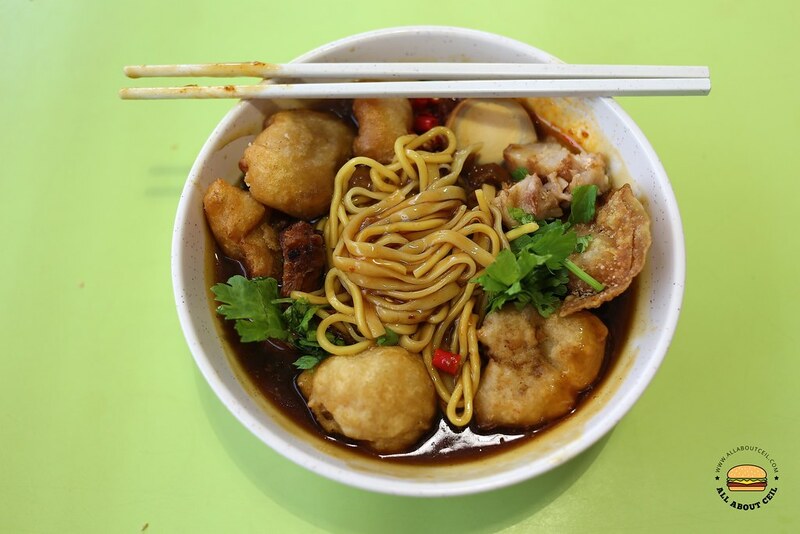 I always go for their Fried Shark Fish Lor Mee and I usually go for the $4 portion and added $1 for an extra serving of fried shark fish nuggets. There is also the $5 portion available. 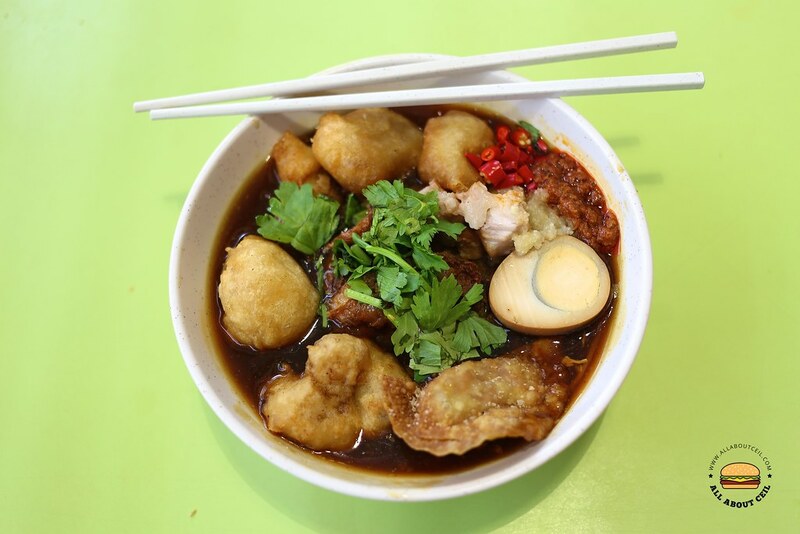 Other than those fried shark fish nuggets, it is also served with ingredients like braised meat, braised egg, fried dumpling and slices of fried ngor hiang. The braising sauce was slightly thin, not as gooey and not quite flavorful but it was enhanced by mixing in the chilli and garlic paste. I am a big fan of those big chunks of fried shark fish nuggets even though it was not freshly fried but it was particularly tasty when soaked it with the braising sauce. Nonetheless, that simple taste has always been my comfort food.